"The environment is where we all meet; where all have a mutual interest; it is the one thing all of us share. It is not only a mirror of ourselves, but a focusing lens on what we can become." 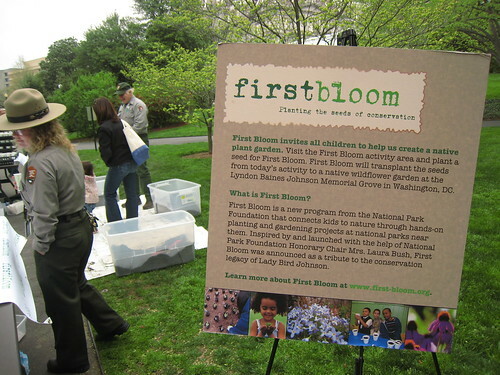 While we all have a mutual interest, not everyone has the same awareness or access, which is why the national park service developed a program called First Bloom. I stumbled into it while at the white house garden tour a couple of weeks ago where they invited kids to come and plant seeds that would later be transfered to America's National Parks. 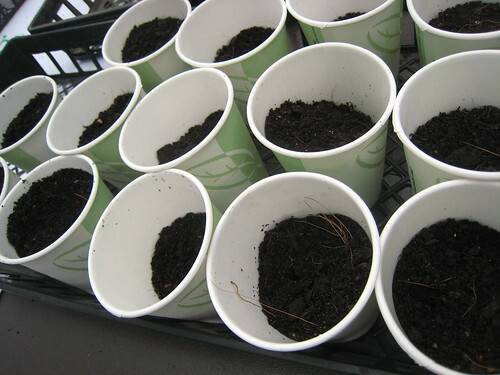 According to the program's website, First Bloom is a project that invites city kids to get their hands dirty - learning how to protect fragile ecosystems by planting native species in our National Parks and how to create and tend gardens in their own neighborhoods. Together with the Park Service Rangers, the Lady Bird Johnson Wildflower Center and community organizations like Boys and Girls Clubs, their goal is to create a transformational experience for children, developing future stewards for the environment. The program director I chatted with at the tour also said the group will be looking to technology to get the word out in a bigger way. As of now, you can check out their blog, subscribe to the RSS feed and look for more things like podcasts coming later this year. Editor's Note: Jen Consalvo offered her SOMEWHAT FRANK opinion on firstbloom as a SOMEWHAT FRANK guest authors. Jen writes a blog called calmwater. If you have a SOMEWHAT FRANK opinion and would like contribute it to SOMEWHAT FRANK please contact me today.